Home Blog Explained How does router work? As you might be aware, bits are a form of language for machines and packets are series (groups) of these bits that traverse the network. The mechanism via which these packets travel across the network is organized thanks to Internet Protocol (IP is set of common rules, structures and descriptions). In general, we have: END DEVICES (like laptops or smartphones) which produce SYMBOLS that we call BITS and form them into IP PACKETS ready to be sent away. The more the amount of information to be transmitted, the more amount of bits needs to be sent and more packets to be formed. 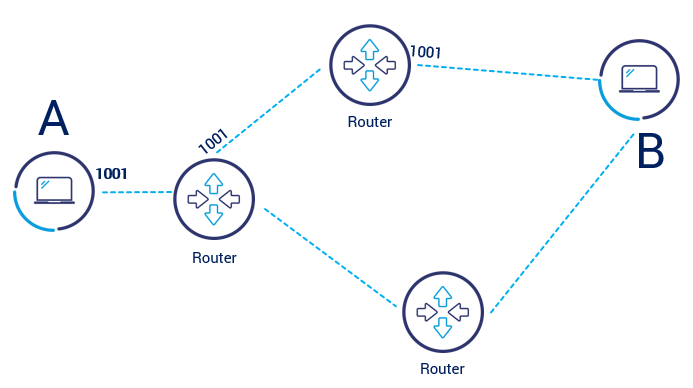 These IP packets are sent along their path in the Network, which consists of routers responsible for proper packet routing towards destination. Now, what is so specific within IP packet that allows routers to understand which way to route the information(bits)? 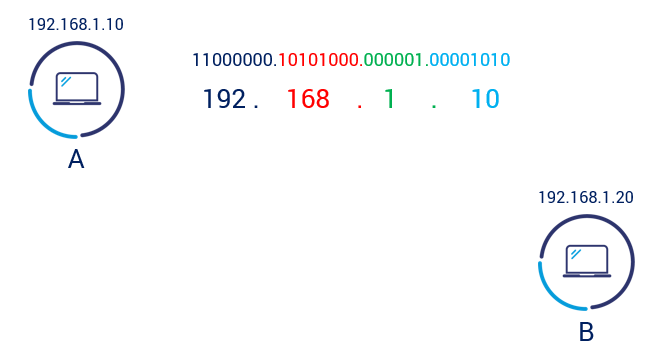 Every device sending and receiving IP packets has own unique address called simply, IP address. IP address is like our postal home address. 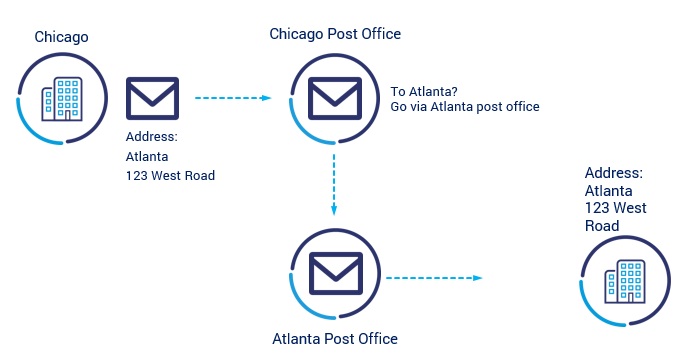 Let’s look at an example: If someone wants to send a post card from Chicago to Atlanta he needs to write the destination postal address in Atlanta on the envelope. If such envelope gets to Chicago post office, it is checked against the destination postal address and forwarded to the Atlanta Post Office. Atlanta’s PO knows where to deliver the envelope based on destination postal address (which is local to Atlanta Post). The aim of IP address is very similar to postal address – it locates the sender and receiver within the network. Because routers know the path towards destination they can forward the packets in the right direction! So when we think that routers are like post offices we can understand the so called routing process. So far so good. but how does a router work and know how to route the packet? 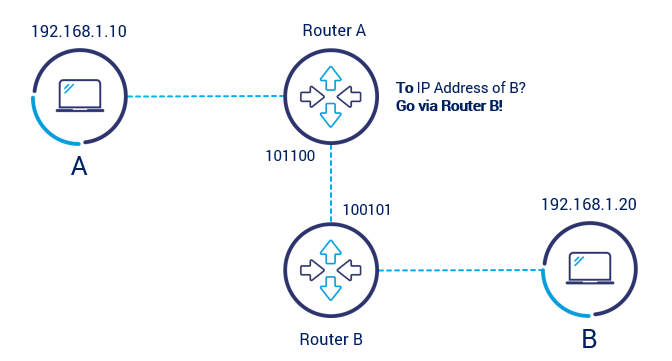 How does router know where to route the packet? Let’s take a closer look into router components and routing process. Routers have ports or more precisely interfaces that are interfacing with other network devices. Interfaces connect the links that are used in packet forwarding. Links can be cable, fiber or even wireless. When a packet is coming on interface (ingress interface), the router needs to know which interface it has to use to send out the packet (egress interface). Now, having NEXT HOP address, router can determine the outgoing interface and sends the packet!!! 1. Device A sends the IP packet to device B which has address of 192.168.1.20. Such packet includes the destination IP Address (in packet header) of device B. The same process happens on every router along the path to destination. How these rules apply to real life? You may raise a question: does this theory apply to every (routing) device on the Internet? In short: yes. 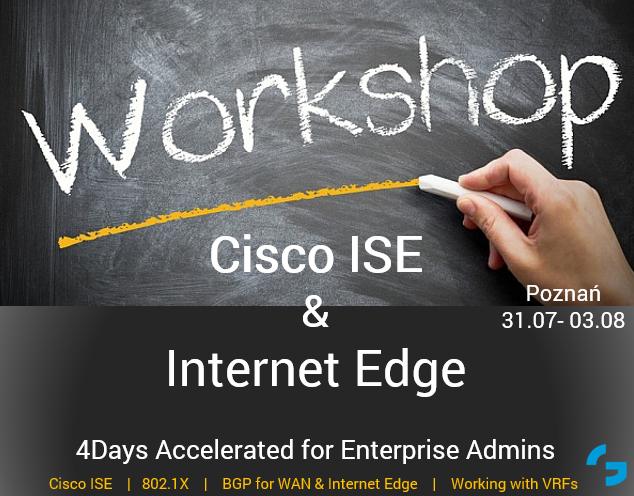 Imagine your Internet access at home. 99% of you have something like a WiFi router (like D-link, TP-link, Linksys, Cerberus, small Cisco etc.) you bought on ebay or your Internet provider lent/sold it to you. This kind of device is also router that uses described rules for packet routing. Such devices are not prepared for large networks, heavy utilization and performance but logic is the same. 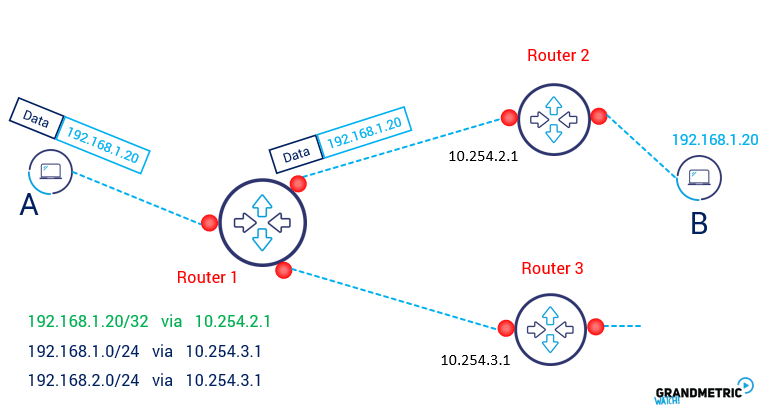 The logic in your small device at home is: for all destinations (all IP addresses are marked as 0.0.0.0/0) route packets via 10.254.3.1 (just example) which is your ISP directly connected router. As simple as that. 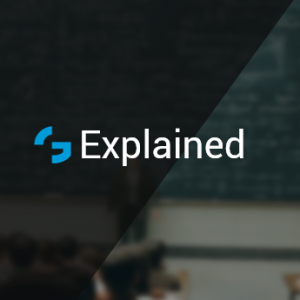 Stay connected and read next post on how does a router use routing table in detail! Nice explanation. Thank you for your great work!